Encore! Encore! What a way to start our weekend by seeing an excellent play last night at the Aurora Theatre called Disney's Newsies. It was electrifying, exciting, had me feeling like I saw a Broadway play in New York! 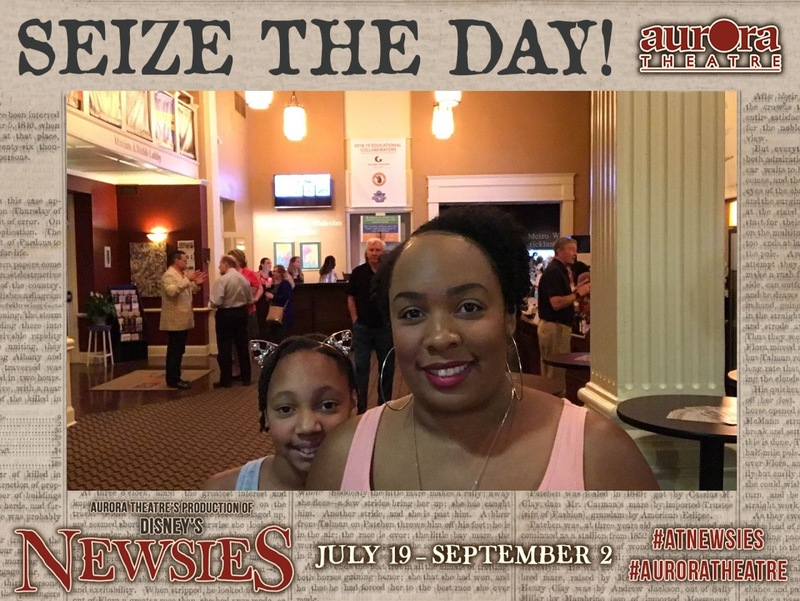 Never a dull moment with Newsies. The cast did an outstanding job! They gave it all they got, putting blood, sweat, and tears in their performances. And the timing couldn't have been better, a story of fighting for your rights and demanding change. Something still this day we're fighting for, which is unfortunate. I took the girls to this sold-out show because I knew they would appreciate seeing a live-action musical production. Both girls told me that this is one of the best plays they saw at the Aurora Theatre, and I couldn't agree more. If I come out of the theatre feeling like I want more, you know that play is a must-see, and I had that kind of feels! 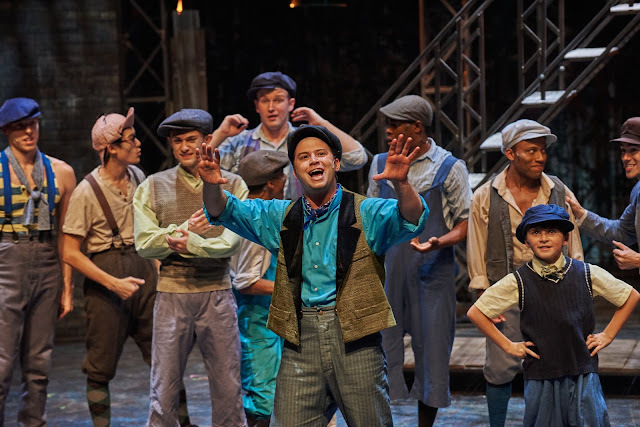 Inspired by the real-life Newsboy Strike of 1899, this high-energy musical is set to soar with rousing dance numbers and non-stop thrills. In New York City at the turn of the century, publishing titans Joseph Pulitzer and William Randolph Hearst look to take advantage of newsboys to increase profits. Enter charismatic Jack Kelly who unwittingly leads a ragged band of teenaged "newsies," across the city to strike for what’s right. This Tony Award-winning musical, based on the timeless Disney film, is toe-tapping fun for the entire family! Make sure to get your tickets to the show! 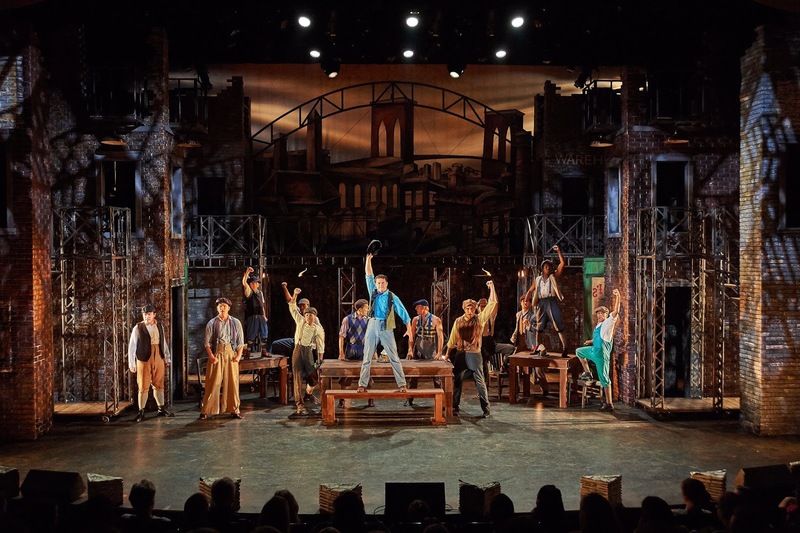 I guarantee you'll love this fantastic play, pumping your fists up wanting another round of Newsies! Disclosure: I was invited as media to see the show. All thoughts and opinions are my own. Have you ever seen Newsies?